The possibility of the rate hike by Fed put EUR under pressure. USD is also gaining momentum because of the strong economic data. 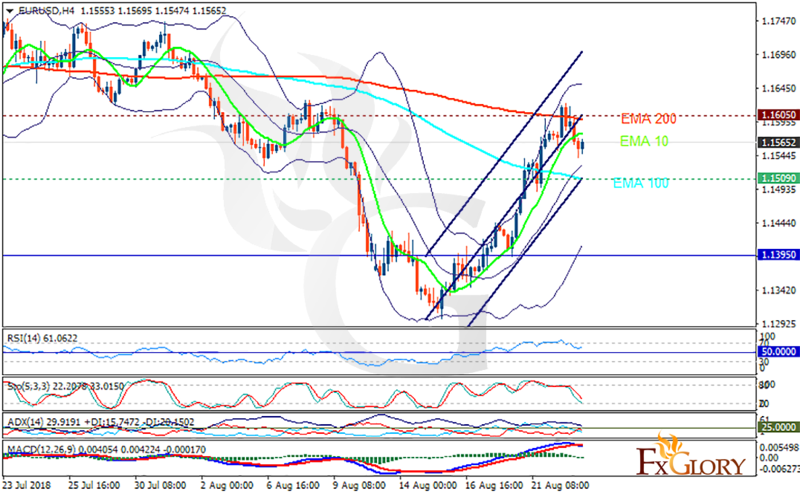 The support rests at 1.15090 with resistance at 1.16050 which both lines are above the weekly pivot point at 1.13950. The EMA of 10 is moving with bullish bias in the ascendant channel and it is above the EMA of 100 and below the EMA of 200. The RSI is rising towards the overbought area, the Stochastic is showing downward momentum and the MACD line is on the signal line in the neutral territory. The ADX is not showing any clear signals. The resistance level seems to be too strong to be broken, therefore, eurusd may fall towards the lower Bollinger band at 1.14.